There are 13 hardiness zones in the United States. Zone 3, like all hardiness zones, is divided into two subsets - 3a and 3b. The zone designations are guideposts for selecting plants best suited to survive the winter months. The zones are calculated by using the average minimum temperature during the winter months. Every zone is separated by 10°F. For example, Zone 3 is 10°F colder than Zone 4. Zone 4 is 10°F colder than Zone 5. The two subsets of each Zone are separated by 5°F. Zone 3: This zone has a minimum average of temperatures of -30°F to -40°F. Zone 3a: This subzone has a minimum average temperature of -35°F to -40° F.
Zone 3b: This subzone has a minimum average temperature of -30° to -35°F. Zone 3 often has much colder temperatures than the minimum average. The zone averages don't reflect unusual cold spells. Last frost date: May 15 is the timeframe given for Zone 3. First frost date: September 15 is the benchmark for the first frost. A frost date app is a very helpful. Just enter your zip code and you can find the frost dates for your area. 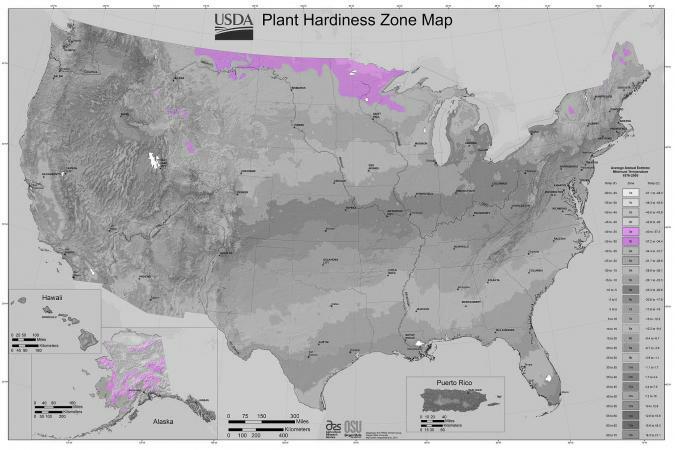 In 2012, the United States Department of Agriculture (USDA) revised the Plant Hardiness Zone Map. The new map showed a 5°F half-zone increase over the 1990 map. The National Gardening Association suggested the change was possibly the result of better mapping technology and a higher participation rate among weather stations sharing data. Each state has more than one zone. Some have multiple hardiness zones due to climate conditions and topography. For example, New York has five zones ranging from Zone 3 to Zone 7. 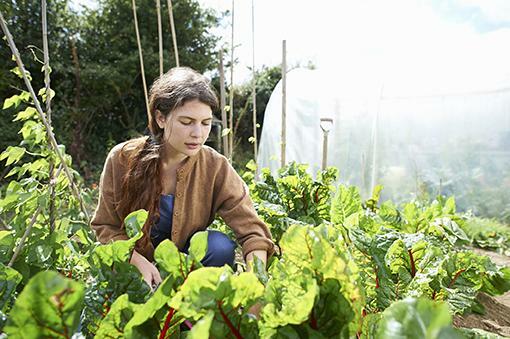 Growing vegetables and flowers in Zone 3 can be challenging since the growing season is short. However, there are many vegetables, flowers, trees and other plants that you can grow in Zone 3. Fruit trees that grow in Zone 3 include, cherry, plum, crabapple, pear and apricot. Some of the perennial herbs hardy enough to survive Zone 3 winters include, peppermint, chamomile, parsley and French sorrel. Vegetables can grow in Zone 3, such as asparagus, cucumbers, squash, potatoes, radishes and others. Due to the short growing season, it's necessary to sow seeds and grow indoors. This gives a leg up for transplanting after the last frost danger. Zone 3 is ideal for a greenhouse. You can start seedlings and transplant in your outdoor garden. 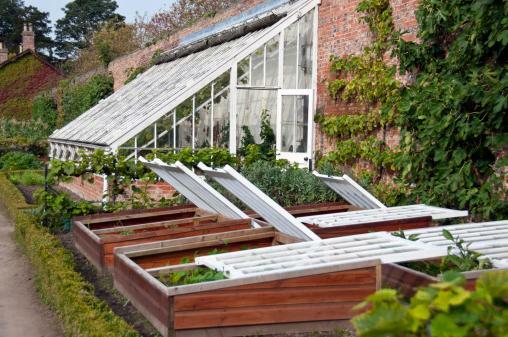 With a greenhouse, you can grow food year-round regardless how cold it is outside. When selecting plants and trees make sure they are rated 'very hardy" to withstand the harsh winters. It's vital to know cold weather patterns and your zone, but there are other contributing factors that can impact plant health. These are not included in the USDA Plant Hardiness Zone Map. Such things as droughts, soil conditions/fertility, microclimates, rainfall and any unusual weather patterns aren't included. However, all of these things are included in Sunset's The New Western Garden Book. When planning a garden or yard landscaping, it's important to select only those plants and trees that are rated for Zone 3. This will ensure your gardening efforts are successful.